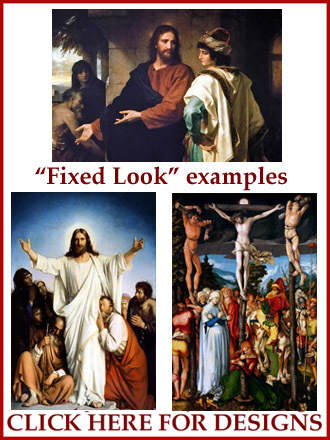 "Fixed Look" Designs: The designs shown on this page are mainly taken from painted reproductions, though there ARE some stained glass look images available on here. These designs come in the proportions seen on the linked design page and are divided according to tall and wide layouts, depending on the design shown. 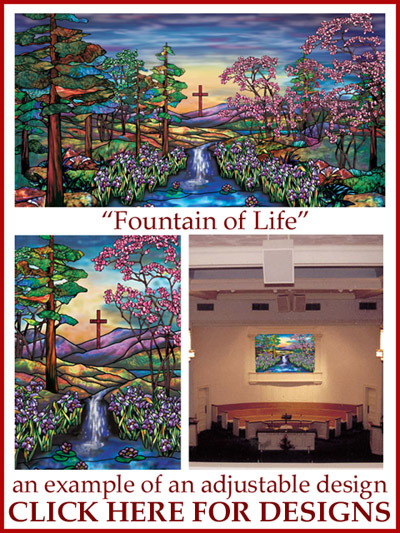 These designs are perfectly suited for our framed art line.